HomeBlogMy Dental Textbook has been Published! When I was in high school, my dad wrote a textbook on crown and bridgework: Full Mouth Restoration in Daily Practice, and I typed the manuscripts for him on a manual typewriter. It was exciting for me to be involved in book which became a dental best-seller and subsequently translated into several languages. 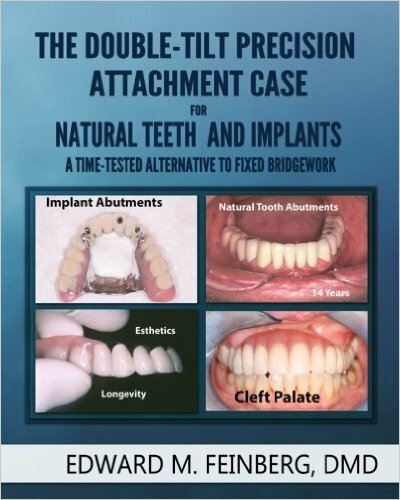 For many years, after I joined the practice, we discussed the need of writing a second textbook to cover the important topic of the double-tilt precision attachment case, a treatment invented in 1906 that very few practitioners today know anything about. Sadly, we never got around to it while he was alive. However, it was always my dream to make this textbook a reality and pass forward the invaluable information to others. This year I fulfilled that dream and dedicated the book to my father. In future blog posts I will discuss more about the book and why the information is important for the dental professional. For now, you can learn more about the book on my website. Since graduating from Tufts University in 1977, Dr. Edward Feinberg has been on a mission to help patients and improve the profession of Dentistry. 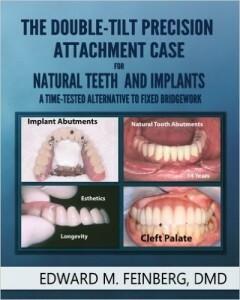 A practicing dentist in Scarsdale, New York, he is the successor to a tradition established in 1948 by his father, Dr. Elliot Feinberg--a renowned expert, teacher and author in the field of crown and bridgework, precision attachment partial dentures and implant restorations. The principles and techniques of this tradition are documented in a growing collection of more than 100,000 slides of cases that date back to 1950.